Using clean fingertips, lightly massage onto damp or dry skin, avoiding the immediate eye area. Remove with a damp washcloth or moist cotton pad. A luxurious, water-free eye-area treatment that enriches and enhances the delicate skin around the eyes, Revitalizing Eye Concentrate is imbued with a powerful fusion of potent and beneficial ingredients and is designed to hydrate the skin in the same way the skin would do so naturally. The skin surrounding the eyes is one of the first areas of the face to show signs of ageing; our nourishing balm-concentrate is formulated to protect the under-eye area from damage due to age, sun exposure, dryness, and facial gesticulation. Revitalizing Eye Concentrate silky texture glides across the skin and will not stress or pull skin in the fragile eye area upon application. Revitalizing Eye Concentrate is most often recommended as an overnight treatment for all skin types that require the ultimate in eye-area hydration. 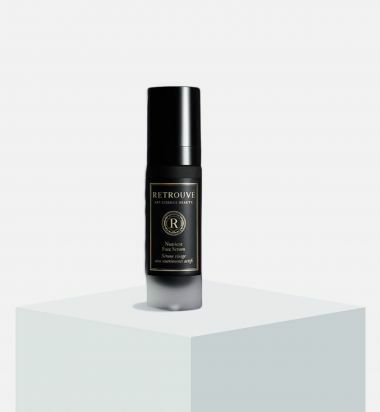 Pump a small amount of Revitalizing Eye Concentrate onto clean fingertip and, using a gentle tapping motion, apply along the orbital bone, avoiding direct contact with eyes or immediate eye area. Dynamic Nourishing Face Cream is recommended for normal to dry skin. As this product contains ingredients known to reduce irritation and inflammation, it is ideal for sensitive skin. Apply Dynamic Nourishing Face Cream to clean skin on the face, neck, and décolleté or upper chest area, if desired. Always avoid the eye area. Our plush priming pads are imbued with a scientifically-balanced solution that features a clinically-effective level of fruit-derived acids to hasten the exfoliation of dead tissue as panthenol provides a soothing effect. Skin Brilliance Priming Pads prepare the skin in a gentle, non-abrasive manner to receive maximum benefits from the subsequent application of skincare treatments and to promote a healthy and radiant–looking skin appearance. Our Skin Brilliance Priming Pads exfoliate without the use of potentially abrasive physical scrubbing ingredients that can also pull at or “tug” the skin unnecessarily through use and cause damage over time. A physical scrub only works while being manipulated on the skin. In contrast, since our balanced formula is not rinsed off and remains on the skin, the exfoliating and soothing benefits are prolonged in a balanced manner. Skin Brilliance Priming Pads promote a radiant complexion by gently and naturally exfoliating dead tissue that would otherwise occlude the complexion and interfere with the optimal delivery of the nourishing and hydrating benefits from our Intensive Replenishing Facial Moisturizer, Nutrient Face Serum, Dynamic Nourishing Face Cream, or other facial moisturizer. Skin Brilliance Priming Pads are recommended for all skin types. After using Retrouvé’s Luminous Cleansing Elixir or other facial cleanser, pat skin dry gently with a clean towel or soft cloth. Lightly glide a Skin Brilliance Priming Pad across skin in short, upward strokes, avoiding the immediate eye area. Do not rinse. Allow solution to remain on skin for several minutes to dry before applying serum or moisturizer. May be used up to one or two times per week. 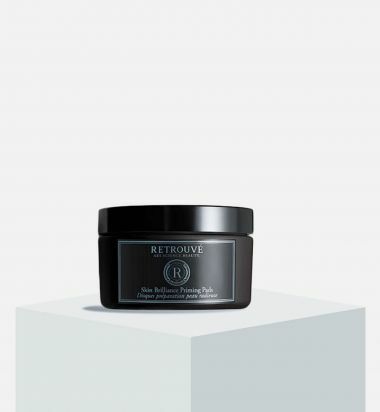 A moisture-replenishing hydrator for the skin, and Retrouvé’s pièce de résistance, this revitalizing overnight treatment is packed with a powerful proprietary blend of potent and effective vitamin-based and restorative ingredients that mimic the skin’s natural moisturizing properties, locking moisture within the skin while enabling it to breathe. Imbued with stem-cell rejuvenating properties, this luxurious elixir is formulated to moisturize, nourish, and enhance skin when natural hydration levels and firmness have diminished. Oil-based ingredients and humectants refortify the skin’s natural hydrating layer, leaving skin rejuvenated and radiant. 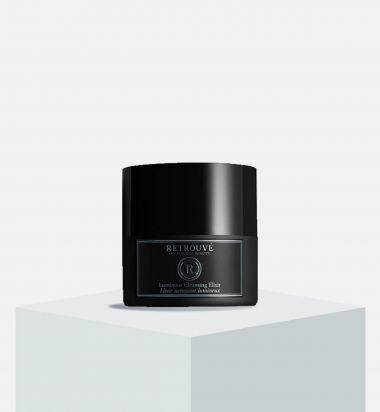 Intensive Replenishing Facial Moisturizer is most often recommended as an overnight treatment for normal to dry skin types that require intense hydration. Apply Intensive Replenishing Facial Moisturizer as an overnight treatment (or for daytime use, if preferred) to clean skin on the face, neck, and décolleté or upper chest area, if desired. Always avoid the eye area. Allow to remain on and be absorbed by the skin. Nutrient Face Serum is helpful for all skin types; it is excellent for anyone who prefers a lighter – yet still luxurious – texture. This Serum is ideal for individuals with normal to slightly oily skin who are concerned about or already experiencing signs of ageing. 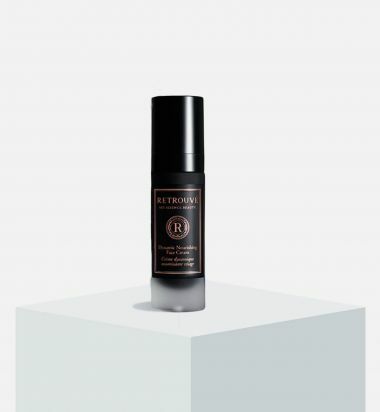 It is often the Retrouvé product of choice for those with an oiler complexion who desire the benefit of our highly effective blend of skin-improving ingredients without a lot of added hydration. Apply Nutrient Face Serum to clean skin on the face, neck, and décolleté or upper chest area, if desired. Always avoid the eye area. 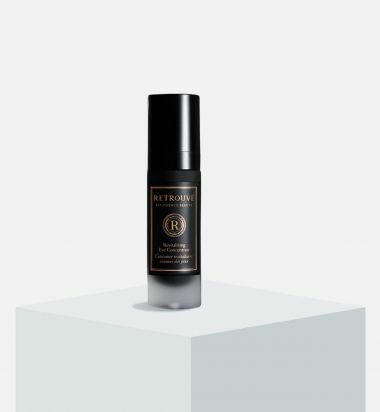 Nutrient Face Serum can be used either under or in conjunction with heavier Retrouvé moisturizers. This product is appropriate for application in the day and/or night. The Retrouvé Collection Limited-Edition Gift Set is designed to be a wardrobe for the skin; the products can be used in multiple combinations to provide anti-aging benefits and to replenish moisture to the skin that may have been lost due to hormonal, environmental, or climatic changes.